Once our professor told us, success isn't about working hard, but it's about working smart. 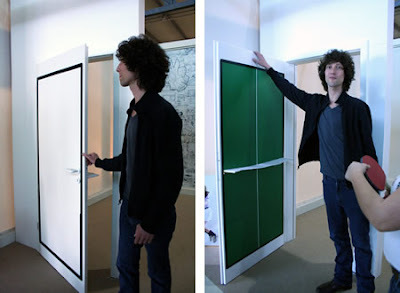 And these 'Smart Concepts' help us to work better. There may be numerous smart concepts out there and this post can go on endlessly; what we have here are a few of those which got our attention. Baggler: This unique device was created to help people manage and carry their bags with ease. 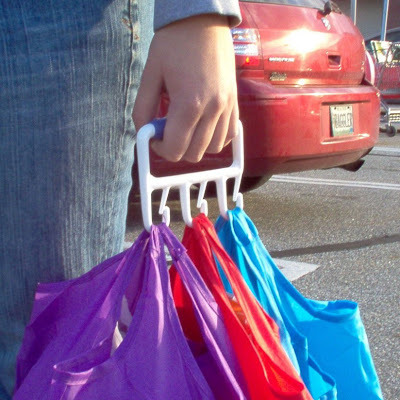 It keeps the handles secured without getting entangled or items falling out of the bags, so no rolling groceries, and no uneven distribution of weight. Coffee Carrier Bag : Who among us isn't aware how difficult it is to carry two cups of coffee which are filled to the top, managing the car keys & all? Here's a smart solution: the carry-bag for coffees! 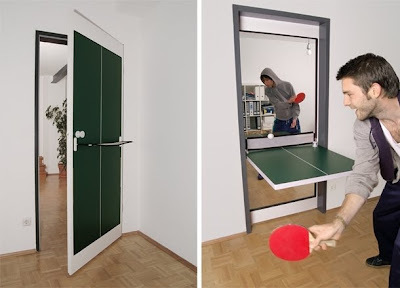 Ping Pong Door: Designed by Tobias Franzel, it functions just like any ordinary door and when needed it turns into a ping-pong table. 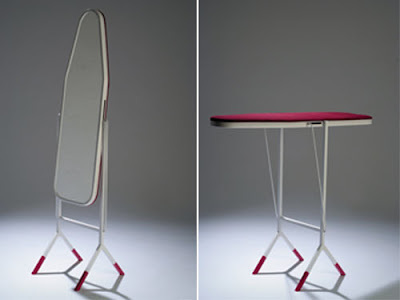 Ironing Board Mirror: An interesting concept by designer Aïssa Logerot, this innovative mirror can be used as ironing board when it's tilted and secured on horizontal position. 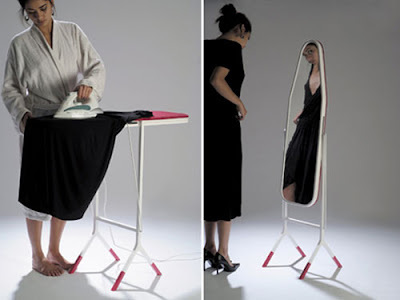 According to the designer, "this object is a link between two consecutive actions: iron clothes and dress up." 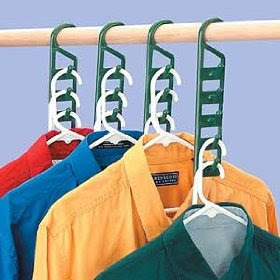 Space Saving Clothes Hanger: It's multi-tiered, saves you space and allows you to organize your closet more efficiently. Which means less wrinkles and you can put up to five clothing items on one hanger. 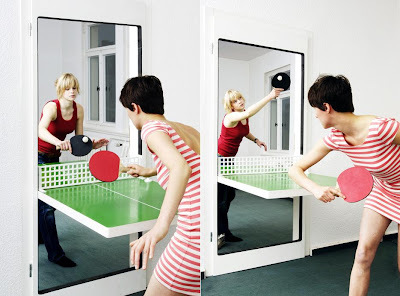 Clever Alternate Uses Of Everyday Objects: A Swiss graphic design company 'Atelier v' has come up with some really interesting & alternate uses of the everyday objects like the ones shown below. And here are many more such ideas. Storage Staircase: An excellent option for storage; each step has its own drawer. They were made by an Australian company, Unicraft Joinery. Luxurious Amphibious Motor Coach / Yacht. The Largest And Tallest Spanning Arch Bridge In The World.